Are you looking for the perfect festive gift for the queer in your life? Then look no further. We’ve done the hard work, so you don’t have to. We’ve compiled a list of 10 fabulous Christmas gifts to suit every kind of queer. And because we like to keep the Pink Pound in the family and support our community as much as we can, most of the gifts we’ve selected are produced by Liverpool-based Artists and Makers, as well as LGBTQ+ folks from further afield. A brilliant gift for fans of the 13th Doctor. Designed and printed by our friends at Nerdy Gift Company. Make it personal and ask local illustrator Lois Tierney to make a custom print of your favourite faces. Invest in an original piece of artwork by local ceramicist Chris Turrell-Watts. Have a proper boss Christmas with this pin badge made by the brilliant Pin Head. Instagram sensation and all-round good egg Drawings of Dogs offers a selection of fab prints including this one. Show your colours and your passion for Liverpool with this boss tree bauble. Created by our friend and top artist Sophie Green. 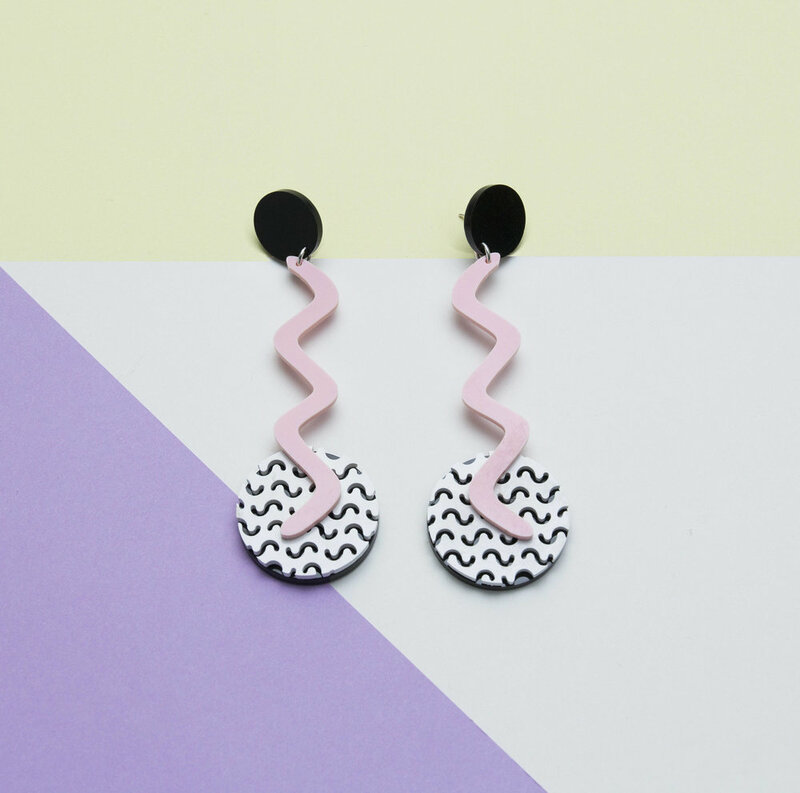 We’re loving these 80's Memphis style wiggle earrings, made by local jeweller-maker Animal Hair. 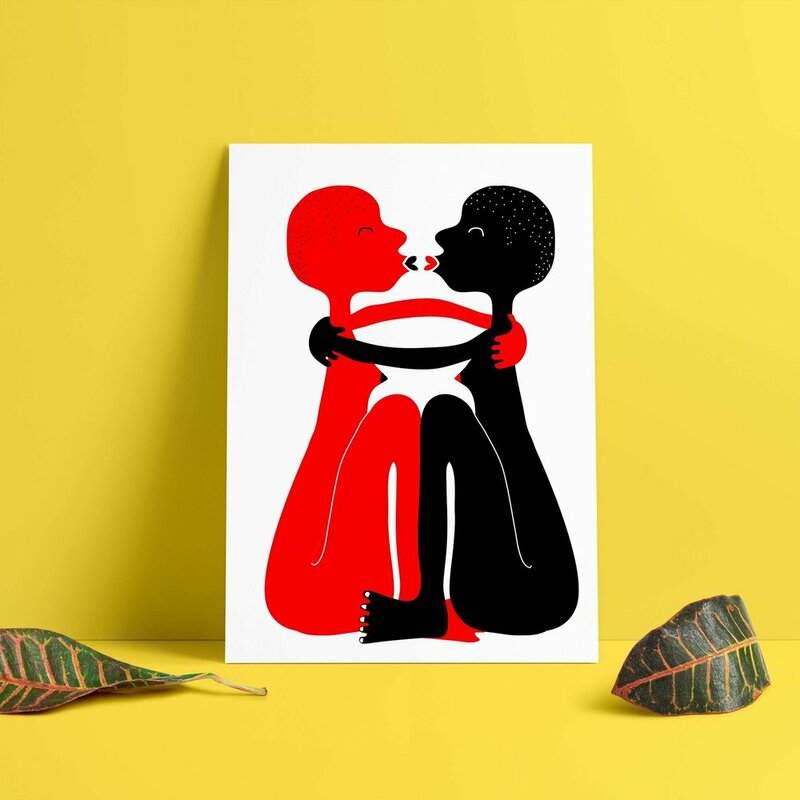 Geordie artist iAmiCreative offers prints and t-shirts featuring gorgeous lady love. Ceramist Alex Sickling makes these gorgeous artist inspired cups. She also does cool tees. For foodie friends, we recommend Crosby Coffee or choose from the most comprehensive collection of tea in the city at Liverpool Tea Warehouse. 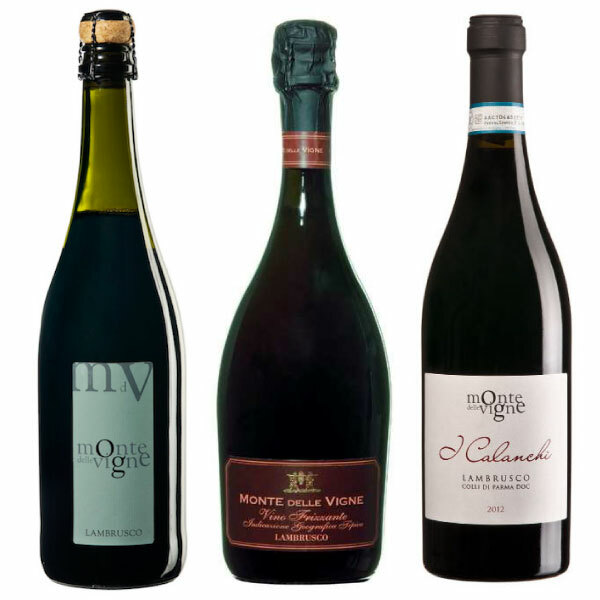 For something harder, our friends at Love Lane Wines sell vino that you won’t find anywhere else. Join us for an alternative Christmas dinner with your queer family, plus the next edition of “Telling Tales” at 17 Love Lane on Saturday 15 December. Know other queer creatives we should include in future posts? Let us know at hello@liverpoolqueercollective.co.uk. Char Binns (she/her) has a funny accent. Brung up in Yorkshire, she spent 9 years in that London before finally escaping. Char came to Liverpool by accident and fell in love with the place to such an extent she even has a tattoo of the Mersey ferry! Char wears lots of hats (both headgear and job roles) working in project/events management, digital comms and as a running coach. Char loves vegan cooking, her family of house plants and “good” tea.